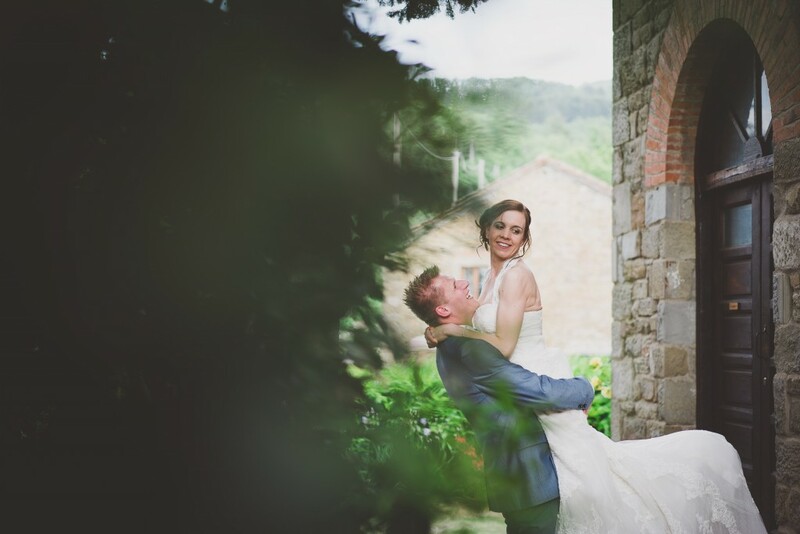 Nelly and Arjen celebrated their wedding on a romantic country estate in the heart of the Tuscan hills. 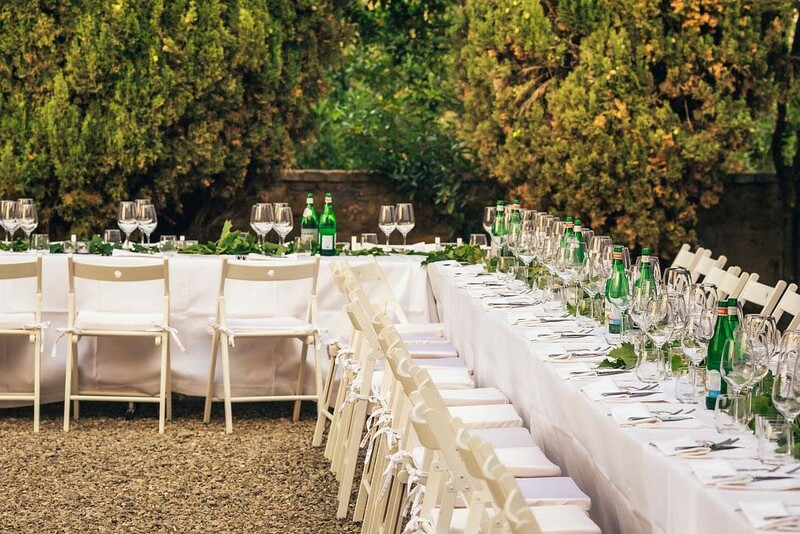 Situated on a hill and surrounded by trees and olive groves, the rustic farm offered an absolutely unique panorama – the perfect scenery for an outdoor wedding. 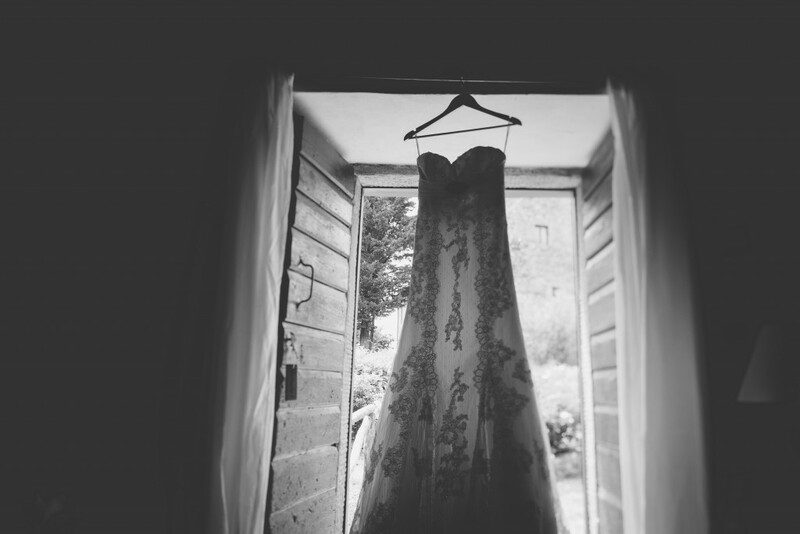 For their dream wedding in Italy the couple booked an entire wedding package which contained all their wishes – beginning with a rustic evening on the day of arrival. In a cosy atmosphere, the bridal couple and its guests enjoyed a delicious buffet with Tuscan specialties – the perfect warm-up for their unforgettable wedding. This pleasant welcome evening was followed by Nelly’s and Arjen’s wedding ceremony the next day. 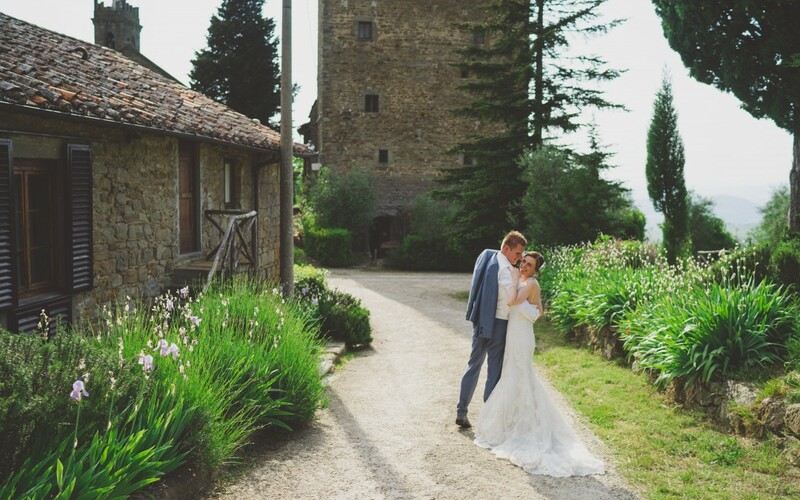 In front of their 30 guests who came from Germany and the Netherlands to the country house near Florence, Nelly and Arjen said “I do” at a civil wedding ceremony in the open air. 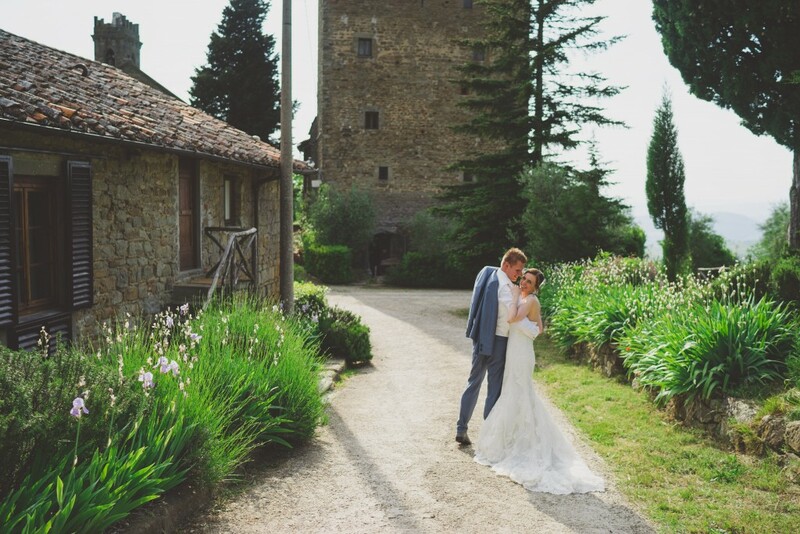 The unique scenery of the rustic farm and the Tuscan hills in the background turned the marriage into a unique and matchless experience. A typical Italian aperitif followed the ceremony. Finally, the day was round off by the wedding reception. During an excellent wedding dinner with Italian specialties and wine of the farm, Nelly and Arjen celebrated their big day. 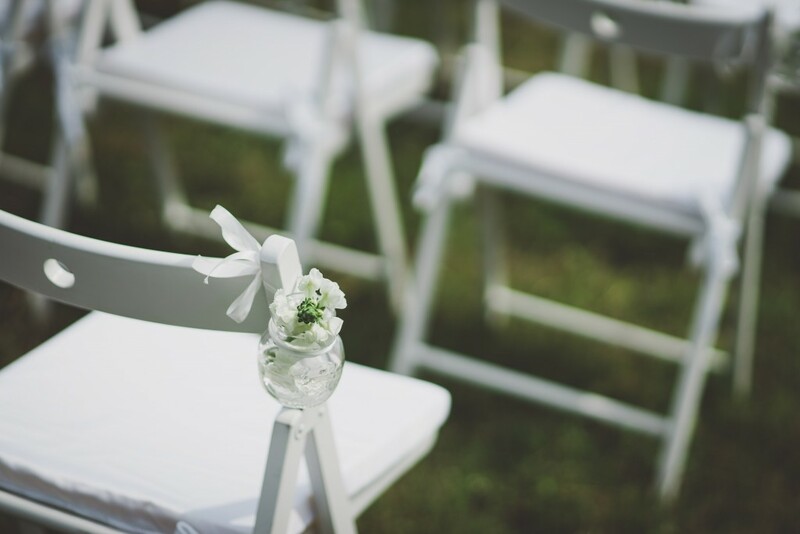 From several appetizers over Italian delicacies like risotto, pasta or Tagliata up to a tasty Italian ice cream with fresh fruits as dessert the wedding menu left nothing to be desired. After the dinner, the music attracted all the guests onto the dancefloor. Like this, Nelly, Arjen and their guests enjoyed the end of their wedding day in a festive atmosphere. 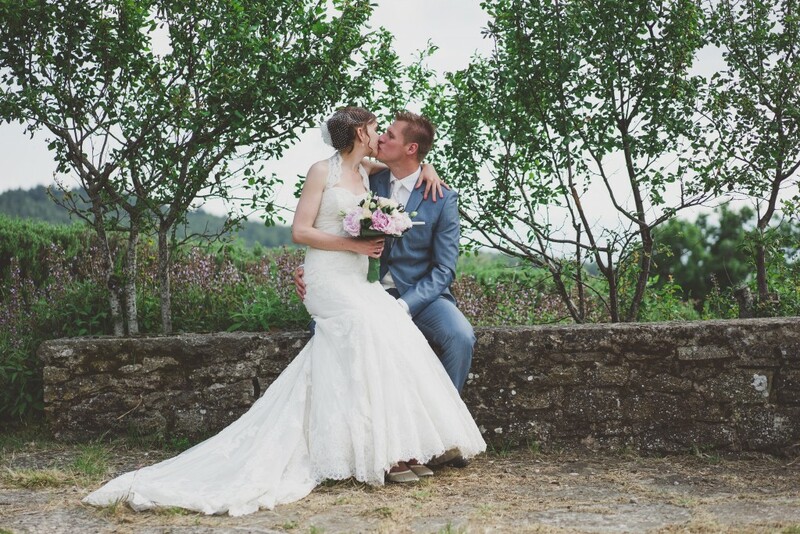 Getting married in Tuscany is without a doubt a matchless experience and especially a rustic wedding on a farmyard is the perfect choice for all couples who desire a romantic wedding with typical Italian flair.